Sub-miniature in size, the MS1271 DPDT slide switch is through-hole and offers both standard and right-angle switch terminations. The actuator is available in multiple colors with steel and nylon housing. This micro switch is housed in steel and nylon materials. The switch features contacts made with silver-plated phosphor bronze and has 10,000 electrical life cycles. The MS1270 DPDT switch comes with multiple latching options and a PC pin terminal option. 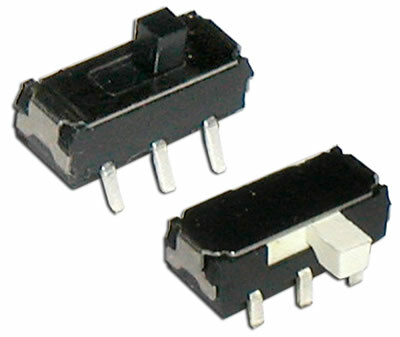 This micro switch is housed in steel and nylon materials. The switch features contacts made with silver-plated phosphor bronze and has 10,000 electrical life cycles. The MS1270 DPDT switch comes with multiple latching options and a PC pin terminal option.